Have you ever wondered what it's like to travel to another country where everything is different, not at all like home? Logan invites you to come along with him to China as he rides in a rickshaw, learns about Kung Fu, tastes exotic teas, explores the Forbidden City, climbs the Great Wall, and meets the Terra Cotta Warriors. 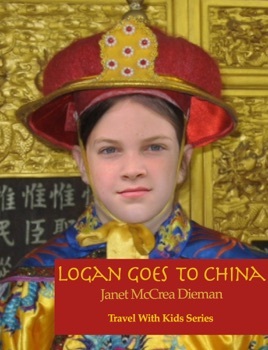 Logan Goes to China is the story of his trip in his words. You'll be amazed. And surprised. And feel like you've been to China, too. Great photos and I learned a lot! Written in first person, you get to experience a trip to China from Logan's point-of-view. There are photos that accompany each page, and the text is really well written. I learned so much about China! Reading this is much better than reading a text book about China. For kids and grownups alike! Gorgeous pictures, interesting text, plus loads of videos and details of a country not many people visit. Such a great source for schools AND families who want to learn about China. 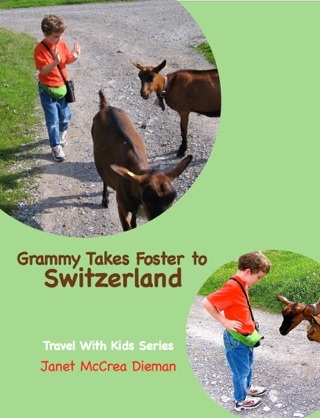 Hope Janet writes many, many more interactive books! 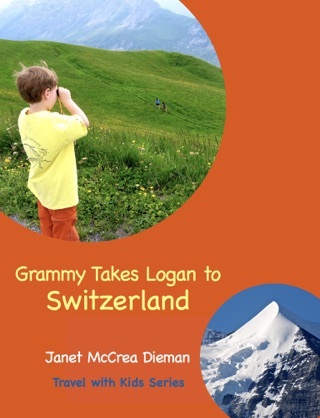 What makes this unique book so interesting is that it is written from the viewpoint of a young boy who was asked by his grandmother: "where do you want to go and what do you want to see?" When he chose China, Janet Dieman went tinto action and spent a year of preparaton. My twelve year old grandson loved the book and found his favorite place - the Terra Cotta Warriors. The pictures and video make the trip come alive and it is fascinating to see the unique experiences they had that most tourists miss. We took a similar trip several years ago and after reading this book, I am ready to return to this fascinating country.